Equipment Finance Services specializes in Equipment Finance Heavy Equipment Finance, Heavy Truck Finance, Commercial Truck Finance, Heavy Equipment Finance and Used Equipment Finance. We offer customized Leases and Loans for Equipment, Heavy Equipment, Commercial Trucks and Trailers. If you are looking for a New or Used Equipment, Heavy Equipment, Medium Duty Truck or any other type of Commercial Truck, we can finance it. Equipment Finance Services specializes in Semi Truck Finance, Commercial Truck Finance & Used Truck Finance. We offer customized Leases and Loans for Semi Trucks and Trailers. If you are looking for a New or Used Semi Truck, Semi Trailer or any other type of Commercial Truck or Trailer, we can finance it. Equipment Finance Services specializes in Used Truck Finance, Semi Truck Finance, Commercial Truck Finance, Used Equipment Finance and Heavy Equipment Finance. Heavy Duty Commercial Trucks and Trailers. other type of Commercial Truck, we can finance it. Equipment Finance Services specializes in Medium Duty Truck Finance Used Truck Finance, Semi Truck Finance, Commercial Truck Finance, Used Equipment Finance and Heavy Equipment Finance. We offer customized Leases and Loans for Heavy Duty Commercial Trucks and Trailers. If you are looking for a New or Used Semi Truck, Dump Truck, Delivery Truck, Tow Truck or any other type of Commercial Truck, we can finance it. Integrity Financial Groups specializes in Used Truck Finance, Semi Truck Finance, Commercial Truck Finance, Used Equipment Finance and Heavy Equipment Finance. We offer customized Leases and Loans for Heavy Duty Commercial Trucks and Trailers. If you are looking for a New or Used Semi Truck, Dump Truck, Delivery Truck, Tow Truck or any other type of Commercial Truck, we can finance it. Integrity Financial Groups provides New Truck Finance, Used Truck Finance, Heavy Equipment Finance and Used Equipment Finance programs for Small to Medium size businesses ranging from $10,000 up to $10,000,000 on various terms and structures. Integrity Financial Groups now offers Working Capital Loans for businesses. If you have been in business for 1 year or more and your annual revenue is greater than 100k a year then you qualify for our Working Capital Program. Don't let cash flow issues limit your growth. Apply Today! Equipment Finance Services provides Equipment Finance, Construction Equipment Finance & Commercial Truck Finance programs. We offer “App Only” Equipment Finance Programs up to $150,000. We finance many different businesses across the country. Our Equipment Finance & Commercial Truck Finance Experts are here to help you find the right loan or lease for your business' specific needs. Just type a message and we'll respond instantly! 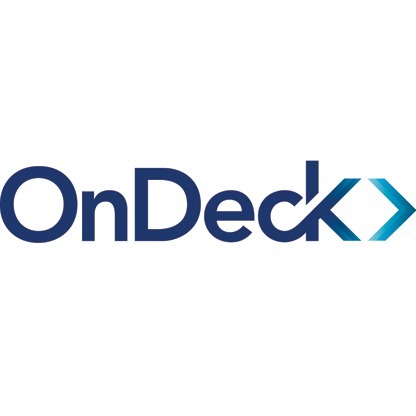 - Andrew Bernardini, Loan Advisor at OnDeck Capital, Inc.
As an enrolled agent, I help many truck drivers, who are sole proprietors and independent contractors with their taxes. They are either undergoing IRS audits or need my help filing their taxes. I am very careful with who I recommend my clients to for additional services. Equipment Finance Services is one I always refer them to. My clients have told me how fast they work, their attention to detail, and skill at brokering deals for heavy equipment. I've had tax clients save thousands on trucking expenses by using Equipment Finance Services. Trust me, I know how much they save to the dollar, from preparing their tax returns year in and year out. If I needed heavy equipment, I'd call Equipment Finance Services. It is refreshing to know that there are people out in the business world who truly have your best intentions in mind. Equipment Finance Services are an incredibly hard working team who won't sleep until your needs are met. They are a rare find indeed! Thank you for all that you have done for us over the last 11 years! Keep up the good work! Equipment Finance Services gave me a good monthly payment arrangement and took care of my complaints right away. I'm happy with their customer service and how their business took care of me. Great company to work with. They take the headache out of financing equipment. Would recommend them to everyone in the area. But don't take my word for it, try them out for yourselves and make your life easier. As a Loan Consultant I am fortunate to work with Equipment Finance Services. Not only do they have the solutions to many of the challenging situations that we come across on a daily basis, but they are committed on making the process smooth and pleasant for my clients. And to me that's what matters the most, (my quote) A customer that is happy with the way his financing is handled is a happier customer in general, that will come back to finance more equipment. At Equipment Finance Services everyone is treated with respect regardless their credit score, they make my customers their number one priority their goal is to get a fast approval and get it done. I couldn’t be happier with the way they help my business succeed every day since we started working together. Monthly, Seasonal, and Deferred Payments Available. Equipment Finance Services provides Equipment Finance, Commercial Truck Finance and Equipment Leasing products. We finance businesses across the country. We offer innovative funding solutions on a variety of assets. Equipment Finance Services is a leader in the Equipment Finance industry. We have created several funding partnerships which give our customers the proper financial diversification they need in a funding partner. Equipment Finance Services Industry Specializations include, but are not limited to the following. We Finance Transportation Equipment. (trucks, trailers, buses, shipping containers, blue and brown water vessels). We finance Dump Trucks & Construction Equipment. We finance mining equipment and oil and gas related equipment. We finance material handling equipment, manufacturing equipment & food processing equipment. We finance aircraft & energy services equipment. (oilfield service vessels, remotely operated vehicles and drilling rigs). Equipment Finance Services also provides funding for owner-operators and start-up companies nation wide.